Of late there have been many advertisements which promote supplements and also claim that they will give you more energy or improve health. Many of the oral nutrition supplements available on the market are ineffective and some can be dangerous. While taking vitamins and other supplements can be beneficial in certain cases, it's important that you understand how they are regulated and what the potential effects are. Having a clear understanding will help you make smarter choices when considering using a nutrition supplement. Nutrition supplements, also known as dietary supplements, refer to herbs or micronutrients taken to improve wellness. They are meant to be taken in addition to the nutrition you get from food, so they should be thought of as a way to support a healthy diet, not replace it. Supplementation may be beneficial if you have a deficiency in a particular vitamin or nutrient. Your physician can order lab tests to verify the deficiency. 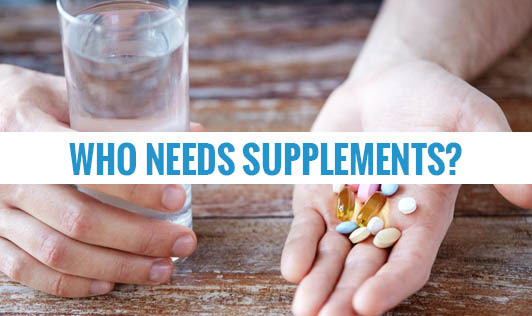 Eating an unhealthy diet or having a medical condition that affects your body's ability to absorb nutrients is a reason to consider taking supplements. Eating a low-calorie diet also puts you at risk for a deficiency. In women, pregnancy, breast feeding and menopause are events that may require supplements. Discuss any nutrition supplements you're thinking about taking with your physician, as some may interact with medications or affect health conditions you may have. Always follow the dosage amount on the bottle or the dosage recommended by your physician. Taking too much of a vitamin or mineral will not enhance its benefits and could be dangerous. Companies may also advertise claims that their supplements can enhance health or reduce a specific symptom. Choose supplements that have quality assurance labels or from a reputed company.